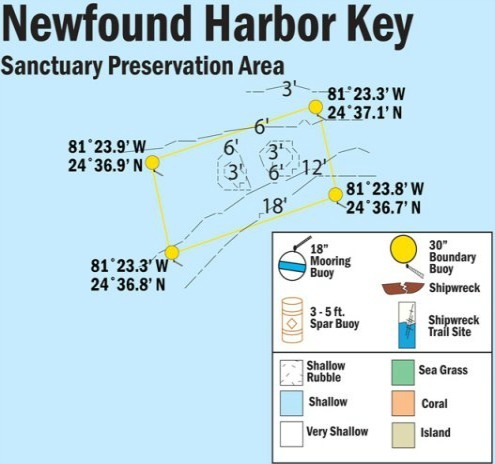 Newfound Harbor Keys (NHK) is a chain of islands just south of Little Palm Island that extends west from the east end of Big Pine Key. 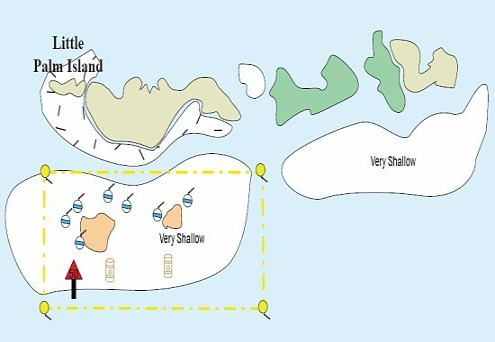 The small islands and their adjacent patch reefs are separated by very shallow water. It's so shallow that the tiny Florida key deer can easily travel from island to island in search of food, migrating back and forth to the Big Pine Key area. This chain of islands also separates Coupon Bight into two regions. They are the open ocean region and the sheltered tropical lagoon oasis. At Coupon Bight Aquatic Preserve, and throughout the chain of small islands that make up NHK, you'll have ample opportunity to study nature. You'll see numerous wading birds, sea turtles and other wildlife that inhabit the mangrove islands as well as the coral patch reefs. In this SPA area, the patch reefs cover about a half square mile and the water is particularly shallow. 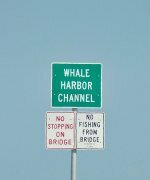 For novice divers or anyone Florida Keys snorkeling, the area's also large enough to accommodate several hours of fun exploring the different ledges and nooks. The area's shallow depth makes this spot especially conducive for families with small children. This is the perfect place to introduce children to the water so they can learn to snorkel without fear. Plus they'll be able to learn how to identify the various marine life they'll see while swimming around and over the shallow, patch reefs. After spending time Florida Keys snorkeling around these patch reefs, your day is not over. Keep your eyes open for the Florida key deer as they move from island to island. You'll also enjoy watching the vast number of birds that live in the area, including roseate spoonbill, great blue heron, pelicans, ibis, egrets, anhinga, osprey, and possibly an American bald eagle or two.